Blue Mug Designs Birth Announcement - Howdy, Partner! 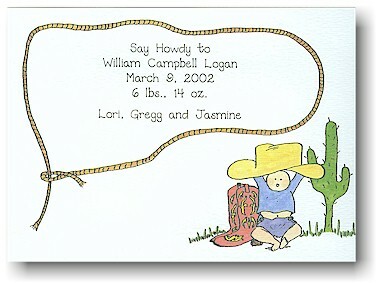 White card depicting baby dressed in blue and purple with cowboy hat and red and yellow cowboy boots. White flat card with baby dressed in blue and purple sitting next to cowboy hat and cactus.